I made a similar dish today with penne macaroni and tuna. 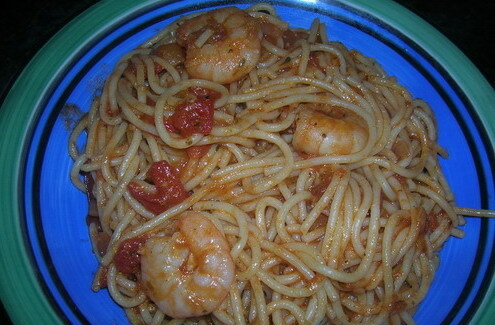 I love prawns though and your pic is delicious mashaAllah! I love pasta, tell me how did you make your one?! Wow this is a recipe I will definitely try.